Left job TWICE without completing. Never called me while on the job as I requested. Blamed office for ordering WRONG part. Told me 1 zone was working and it was NOT. Both zones registered at 89 degrees Dispatcher disputed tech and said part was not in. Representative Robin said part had arrived. Who do I believe. Credibility is eroding. I have a service contract for more than 10 years. Service has deteriorated. AC STILL not working!!!! Hector stopped by to perform a bi-annual service check up. Very professional and took the time to answer any of my concerns Good job! Hector was professional and knowledgeable. I had to go very late to my work due to the schedule I was given,was not convenient for me but I accepted that and still after 5 days I have not received your offer for replacing my AC. I feel I waisted my time. A/C went out on a weekend. Jupiter/Tequesta gave us a time window when a technician would arrive. 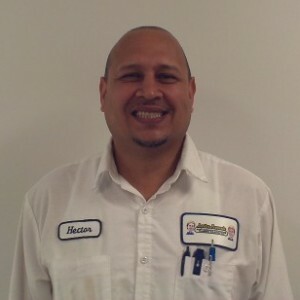 Hector arrived early, diagnosed the problem, made the repair and was done in less than 30 minutes. He used shoe covers when he came in the house and was polite and professional. Great job. Great company-Hector is so friendly and professional! I have not received the quote. Did not offer any discounts that were available. I had to ask about Home Depot financing and other discounts. Hector was great. Very prompt, funny and kind. He explained everything he did. I'm very satisfied with the work done! I was having a problem with my Nest Thermostat and I had to get a common wire installed. I found this company through the Nest Pro Tool. My service technician Hector got to my place before I did for the appointment. He was funny, very kind and explained the whole process to me. It was awesome because it ended up being cheaper to get a service agreement for my A/C for the year (which I needed desperately since it is 20 year old unit) than just the service alone. I am so glad that I found this company. I love that they are a local company that has been around for 35 years. I highly recommend them. Only after one year and $5,000 did we receive an explanations and good service. For one whole year we just received a run around. Hector Reveira was a professional knowledgeable tech who was interested To this day, although I requestef to speak with the owner, cared enough to solve our problems..Not one other person employed there made me smile. I do not think very much of Tequesta Air ! We had a new ac installed one year ago. It was the second one they installed in 12 years. It was a terrible experience. I was back in NY and I kept calling about a problem. I want to speak with Matt the owner. I called from Sept. to Jan. when we left to arrive here in Tequesta. I received no satisfaction or returned calls from the owner. I called and made an appointment when we arrived in Jan. Two techs came to check the ac out. The one who installed it confessed he did not know about this new computerized unit until after he took a course which was after my installation.They did spend some time going through how your thermostat worked. I made an appointment for a service before we left.Hector Rivera came yesterday. He was knowledgeable. He apologized for the terrible service we received. He seemed to do a good job. We did sign up for a service contract next year. What happens remains to be seen. I can not believe a local business being run the way it is run. The owner is a disgrace. There was no way this place made me smile !!! 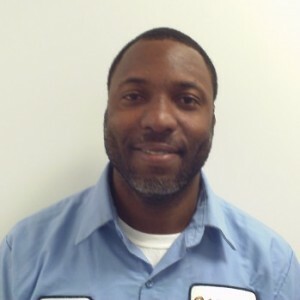 Hector had excellent customer service and was very knowledgeable. Will definitely use this company again.